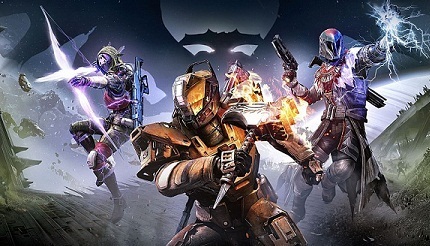 The Destiny veterans who may have already noted that the Legendary Marks cannot be accumulated quickly. Perhaps the quickest way to farm Legendary brands through daily challenges. Be careful with the heroic story missions! Once you reach the maximum level 40, you can select the story missions in heroic mode (strongly recommended light level 240) after play you can get 15 Legendary Marks. However, you must remember that you will receive the reward only once a day for the entire account. If you play the mission on the same day with other characters, you get nothing. The same also applies to the day-challenge in the crucible. Here you get only once a day also a reward in the amount of 15 legendary Marks. Quite different in the weekly activities: the weeks-Strike on Heroic mode you can repeat three times. Ideal if you are not just playing a class. Apart from that there's still the opportunity to complete quests. Complete its missions as "The Vanguard's Hand" and "Neverending Battle", there is a solid earning of 25 Marks. The only problem is that the reward you can get once per character only. In order to obtain three Legendary Marks, you can dismantle unleveled legendary equipment. Upgrade all the corresponding legendary weapon or armor to gain four or five Marks to your account. Please note that this procedure only works with new items from The Taken King. If you split your gear from the first year, you won’t get any legendary Marks, only materials and light particles.